Or view larger version. Black Panthers Stand Courthouse Watch Following Rally. July 16, 1968. Keith Dennison, photographer. Gelatin silver print. Collection of Oakland Museum of California. The Oakland Tribune Collection. Gift of ANG Newspapers. . 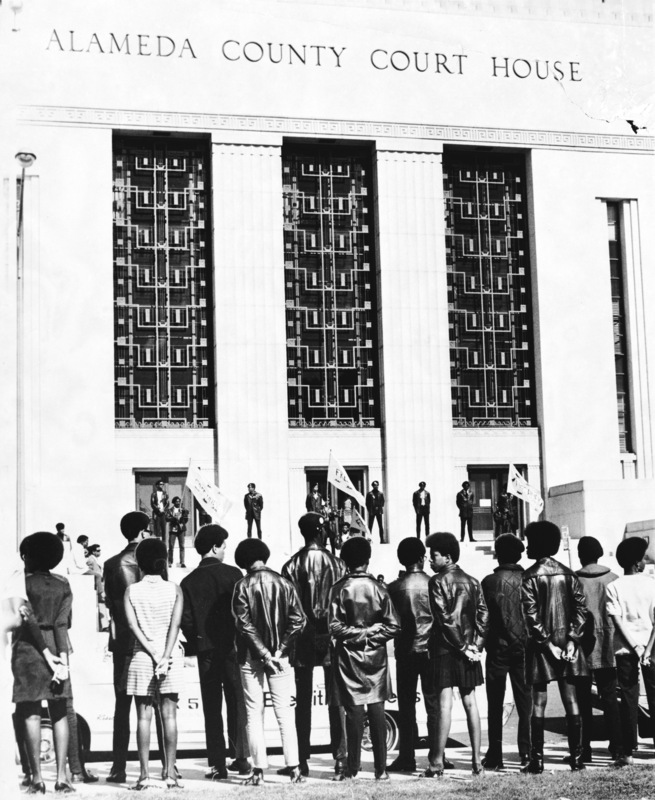 In this photograph, members of the Black Panthers stand watch in front of the Alameda County Courthouse following a rally of some 250 individulas who paraded with banners asking freedom for Huey Newton.